The 2014 Chattanooga TPC Senior final wasn’t the first time this year that Mitch Hufstetler and Tom Baird went to the wire. 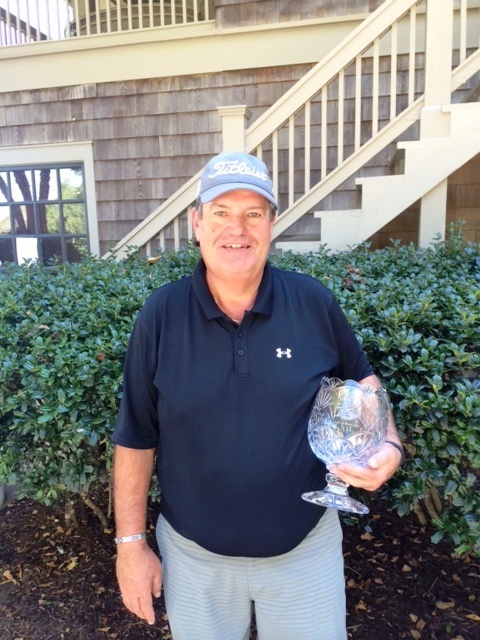 Back in August, Hufstetler birdied the 36th hole to edge Baird for the Brainerd Invitational Senior title. Oct. 5 at Council Fire, Hufstetler watched Baird lip out a birdie putt at the 18th, then two-putted himself for a 1-up victory and the TPC senior crown. 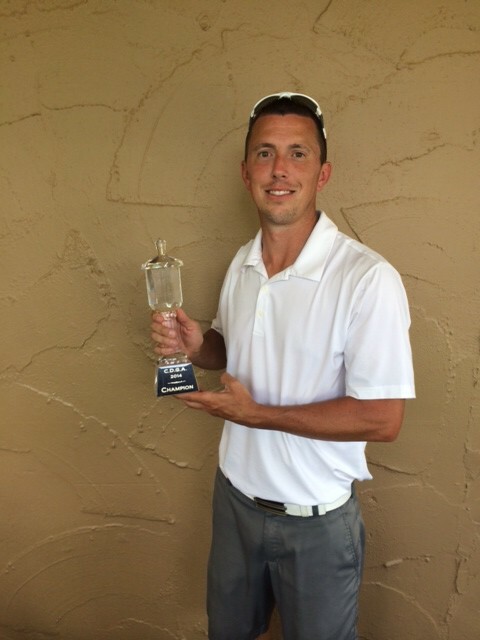 Hufstetler’s win capped a perfect TPC season – he won senior championships in the Signal Mountain, Cleveland, North Georgia and Brainerd invitationals; the Chattanooga Men’s Metro and, finally the TPC. When Baird birdied the first and fifth holes for a 2-up lead, it looked as though he might well extract a measure of revenge for Brainerd and deny Hufstetler his slice of local golf history. “And I missed a couple of makeable putts in there,” said Baird. Having spent his whole season in or near leads, though, Hufstetler stayed cool. “Just keep pluggin’, keep playing,” he said. “I was hitting it fair, hitting some good shots – and then I made a really good putt at seven. That putt, from about 25 feet above the hole, gave Hufstetler a birdie and his first win of the day. He then won the eighth with a sporty up-and-down to pull even. After halving the ninth, Hufstetler took his first lead with a win at the 10th. He promptly gave that hole back at the 11th, though, where his drive hit the cart path and rocketed out of bounds. The same sequence played out again at 13 and 14 – Hufstetler won the par-5 13th, but missed a short par putt to drop the par-3 14th. The two halved the 15th, but Hufstetler got what turned out to be the decisive win at the 16th – he lipped out a long birdie putt that he called “one of the best I ever hit.” It didn’t go in, but it was good enough when Baird failed to get up-and-down from just short of the green. Faced with a gut check at the par-3 17th, Baird center-cut a 10-footer to stay in the match. He needed another win at 18 to extend the match again, but just missed from 40 feet. “I just didn’t play from the fairway enough today,” Baird said. “Mitch is a very good ball-striker; you can’t give him holes because he’s sure not going to give you very many. “He’s a worthy champion and, hey – I’m 60, so if I’m still upright when I’m done playing, I’m pretty happy,” Baird said. His perfect TPC season complete, Hufstetler’s only problem now is what to do with all the stuff he’s won. “I’ve got about 13 dozen [golf balls] and about 26 gloves – not counting the five or six in my bag,” he said. What he probably doesn’t have is more shirts. The 2014 Chattanooga Men’s Metro Amateur golf championship had at least a couple of things in common with June’s U.S. Open. For one thing, both championships were conducted on Donald Ross-designed courses – the Open at Pinehurst No. 2, and the Metro at Brainerd Golf Course. And for another, the final rounds of each were almost completely devoid of drama. German Martin Kaymer led the Open by five heading into the final round and won by eight. Matt Robertson started Sunday’s Metro finale only one clear of rising UTC sophomore Brooks Thomas, but quickly got separation and wound up coasting to his own eight-shot win. The Senior Division, on the other hand, had drama to spare. 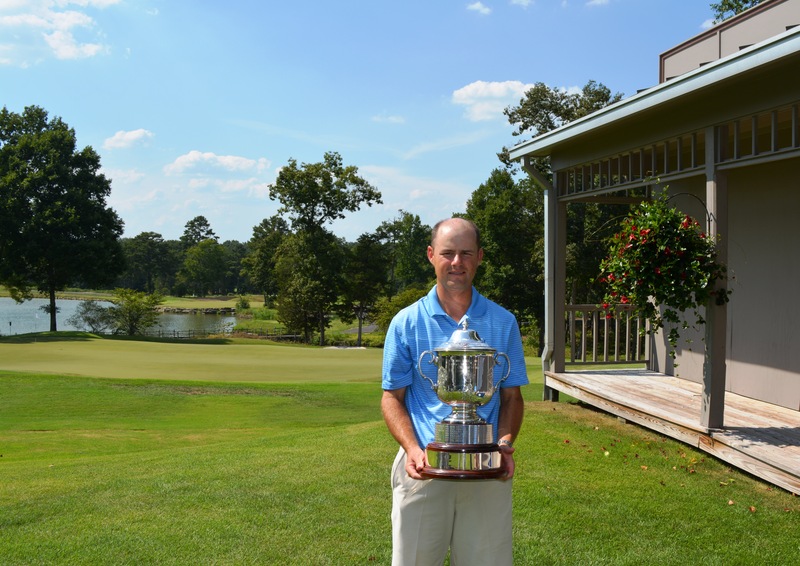 It looked as though Mitch Hufstetler’s win streak in Chattanooga TPC events would be snapped at three, but he was there to pick up the pieces – and that fourth straight title – when four-time Metro champion Pat Corey faltered at Saturday’s final hole. Robertson posted Sunday’s best round, a 4-under-par 66, and finished three rounds at 12-under-par 198. Thomas (73 in the final round) finished second at 4-under-par 206. Jay Potter (73), Keoni Vidrine (68) and David Watts (68) tied for third at 208. On Saturday, Hufstetler tacked a 70 onto his opening 69 for a 1-under-par 139. Corey, who opened with 67, closed with 73 for 140. Robertson actually got his first bit of cushion from Thomas, who dropped three shots in the first four holes. Robertson then hit the gas, making four straight birdies and padding his margin to nearly double-digits. Robertson’s pursuers got a fleeting glimmer of hope at the turn. The leader caught a terrible break at the par-4 ninth, where his tee ball came to rest against a stick. Moving the stick would have caused the ball to move, and a penalty, so Robertson did what he could to advance the ball. His second came up short of the green, made bogey, and Thomas made birdie to get two shots back. Then, at the 10th, Robertson stubbed his toe to the point that he faced a 14-foot par putt. He poured it in, though, and effectively resolved the issue. Robertson said going so quickly from a one-shot lead to nearly lapping the field necessitated a change in approach. Robertson, who works in Brainerd GC’s shop, celebrated his win by clocking in for the rest of the day – “Hey, he was off the last two days,” deadpanned shop manager Edwin Prichard. Robertson readily conceded that his affiliation with Brainerd GC made his triumph there all the more sweet. 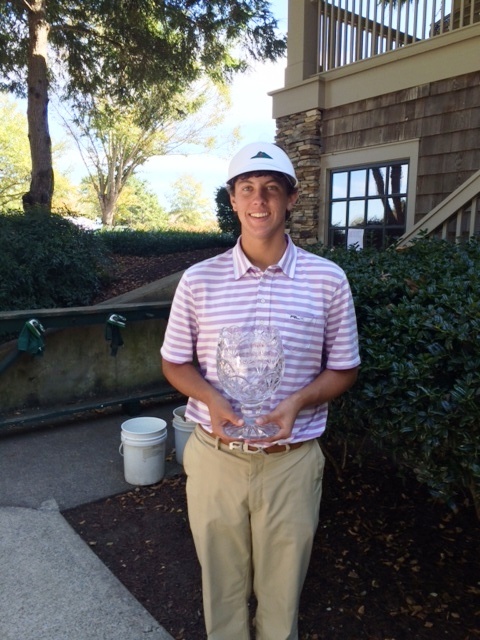 Having added his Metro win to prior senior wins in this year’s Cleveland, Signal Mountain and North Georgia invitationals, Hufstetler is now just a Brainerd Invitational victory away from a sort of “Senior Slam” – victories in all five Chattanooga TPC events, and all in his first year in the 55-plus crowd. But don’t think that translates to anything even vaguely resembling pressure. Turning for home on Saturday, Hufstetler birdied the 10th, 11th and 13th holes but still couldn’t quite catch Corey. Standing on the 18th tee, Corey led Hufstetler by two. When Corey found trouble left off the tee, Hufstetler thought he still had a puncher’s chance. But Hufstetler not only didn’t have to go extra holes, but wound up with the outright win. “I hated it for Pat, because he’s a very good player who’s won a lot of tournaments,” Hufstetler said. When I last wrote about golf, Trent Mansfield hadn’t been drawing breath very long. It’s been 16 years, in fact, since I last worked alongside my friend Sam Woolwine at the former Chattanooga Free Press. I was fortunate enough to cover everything from 62-year-old Ira Templeton’s sweltering 36-hole Sunday march to the 1986 Chattanooga Men’s Metro title to my boyhood idol Richard Keene’s Men’s Metro and Brainerd Invitational double in 1995. So, yeah, it’s been a while since I’ve written about golf. 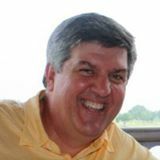 Thanks to Mike Jenkins for letting me get my hand back in here at ifyoulikegolf.com, and for suggesting a piece on Trent, a rising senior at Boyd-Buchanan who won’t soon forget the round he played in late June at Congressional Country Club in Bethesda, Md. Trent was one of 18 players from various The First Tee East Territory chapters selected to play Congressional in the Quicken Loans National’s Monday pro-am, sponsored by Perfect Sense Digital. Trent’s been in The First Tee of Chattanooga program for a decade or so now, and was nominated by Kathleen McCarthy, executive director at The First Tee of Chattanooga. Anyone in Trent’s situation would have wanted to go to Congressional with his ‘A’ game. Trent did, having shot 70 at Moccasin Bend just a couple of weeks prior and winning Chattanooga District Golf Association Junior Tour event. So he was ready when his team, which included a Special Olympics athlete and brand-new PGA Tour professional Oliver Goss, started the select-drive tournament Congressional’s par-4 fifth hole. Despite coming to rest in the gnarly rough, Trent’s drive was his team’s best. Then, from 140 yards, he snuggled a pitching wedge – “I had a jumper,” he said – to just a foot away. The next hole, a par-5, was even better. The team again chose Trent’s drive, and from there the Chattanoogan rifled a 4-iron onto the green. One 65-foot bomb later, he’d made eagle and was 3-under-par for the first two holes. The team went on to shoot a 16-under-par 56 – and finished fifth. With fivesomes all over a course set up for the world’s best players, the pace of play couldn’t have been fast – but Trent said the day flew by. “Never played a course like that,” Trent said. “It was cool getting to play with Oliver; he’d just turned pro, and Congressional was his first pro-am. He was almost as excited as we were. “And because he’d played at Tennessee, we were able to talk about some of the courses we’d both played, like The Honors Course,” Trent said. There was more golf – Trent and his fellow players from The First Tee got in a round at the Country Club of Fairfax in Fairfax, Va., and took on the storied mini-golf course at Woody’s Golf Range just outside D.C. The First Tee players also visited Perfect Sense Digital’s headquarters, toured the Smithsonian’s Natural History and Air and Space Museums, visited the U.S. Capitol and attended the first round of the Quicken Loans National. Trent said he followed Tiger Woods that day, but not for very long. “Maybe an hour,” he said. “I’d seen him before, and I can’t really relate to him all that well. “I like to watch guys on the range, because you can watch 10 different guys at once and see how they go about their business,” Trent said. Back home, Trent went about preparing for the Chattanooga Men’s Metro Championship, which is set for July 11-13 at Brainerd GC, his home course. He and his Boyd-Buchanan teammates will spend a chunk of what’s left of their summer break playing nine-hole qualifying rounds to get ready for the 2014 City Prep League season. But that week in Washington, representing The First Tee of Chattanooga, will stay with him for a while. “Early on, The First Tee is about learning the game,” he said, “but it’s much more than that – you learn the Nine Core Values and what those really mean. “Then, as you get older, you get opportunities like the one I just had. It’s anyone’s dream to walk inside the ropes, play a course like Congressional with your own caddie and next to players you look up to as being the best. On July 26, 2014 our region will host local qualifying for the Drive, Chip, & Putt Championship, an exciting grow the game initiative for kids ages 7-15 supported by the USGA, PGA of America, and The Masters Tournament Foundation. I am seeking volunteers to help this day run as smoothly as possible. There will be 200 kids and their families on-site at The First Tee of Chattanooga Player Development Complex (Hickory Valley Rd, Chatt.). The day will run from 8:30am until about 4pm, therefore volunteers can choose to work all day, morning shift, or afternoon shift. Lunch, refreshments, and a DCP cap are provided. Let me know if you would like to be a part of this exciting event!